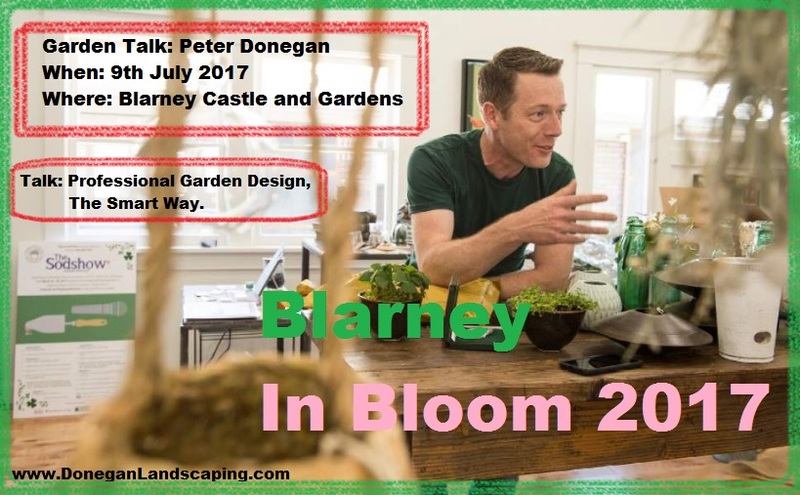 In a nutshell, my talk will centre around designing your own garden, the best times to achieve the maximum end result, adding to an existing space – without that looking out of place, how to best get the most from your budget irrespective of how big or small that is and all designed to fit into the man hour units of time you actually have to spend in the garden. 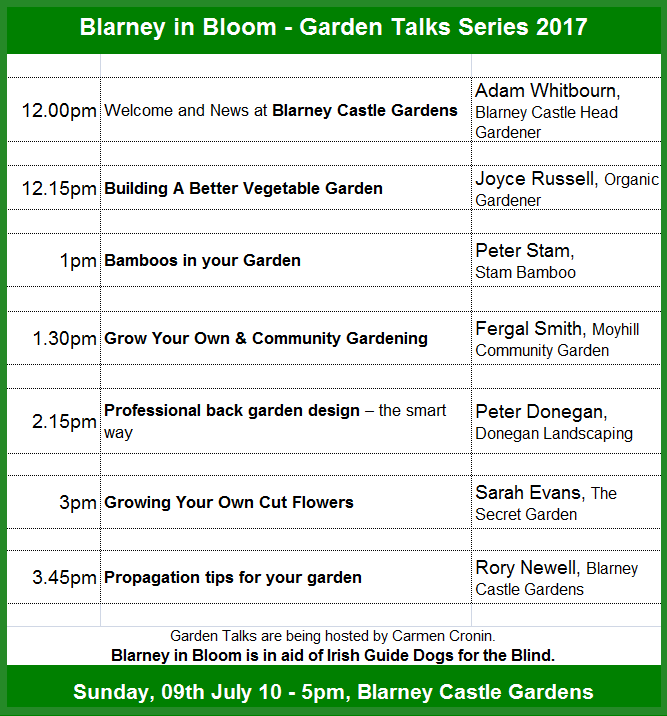 My talk will go a little more in depth than that and I’ll be staying around after my chat just in case you have any specific questions you need to ask or you simply fancied saying hello an having a cuppa. 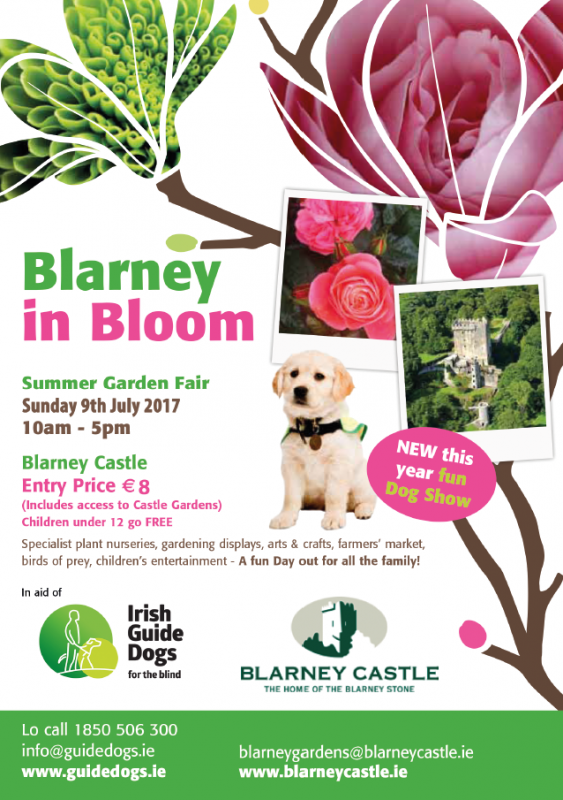 Blarney in Bloom really is a fantastic festival, you couldn’t ask for a better location and there is also a fantstic line up of really great speakers and personalities on the day and that, before you see anything else – really looking forward to this one.